The World Tourism Organization (UNWTO) has released a new report focusing on the problem of, and potential solutions to, overtourism in cities around the world. The report, ‘Overtourism’? 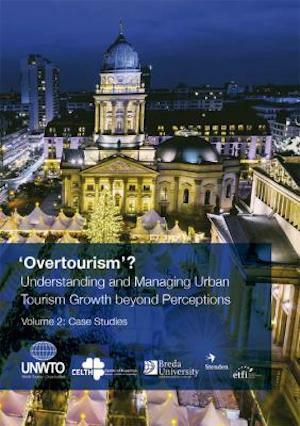 Understanding and Managing Urban Tourism Growth Beyond Perceptions: Case Studies’, was launched at the recent travel trade fair ITB Berlin. The report provides examples of specific measures being implemented in cities across the Americas, Asia and the Pacific and Europe. A total of 18 case studies assembled are the follow-up to the general approach laid out in the previous publication ‘Overtourism’? – Understanding and Managing Urban Tourism Growth beyond Perceptions’. Launched in September 2018, it examined how to manage tourism in urban destinations to the benefit of visitors and residents alike, offering a wide range of strategies and measures for a better understanding and management of challenges and opportunities. As a complement to the conceptual approach, the report also looks at case studies from Amsterdam, Antwerp, Barcelona, Berlin, Besalú, Cambridge, Dubrovnik, Edinburgh, Ghent, Hangzhou, London, Lucerne, Macao (China), New York, Lisbon, Seoul, Porto, Prague and Venice. The examples show that there is no ‘one-size fits all’ measure to tackle overtourism, and that any successful destination management strategy needs to be context specific. Although this might not come as a surprise, there is a connecting thread between the fundamental challenges: congestion in specific locations and sites at specific moments, mobility, pressure on infrastructure and resources, decrease in ‘place’ authenticity and impact on social fabrics and residents daily lives. Consequently, the most common measures currently being implemented by destinations relate to the dispersal of visitors within the city and beyond, showing the pressing need to manage tourism congestion in certain areas and attractions. Measures with the aim of improving the city infrastructure and facilities are also frequently mentioned, reflecting the fact that many challenges are linked not only to the growing number of visitors but also to the pressure placed by residents, commuters and tourists on the city’s resources and services.